The Trump-Pence administration is refusing to join with more than 30 countries calling for a thorough investigation into anti-LGBTQ human rights abuses in Chechnya as the Chechen Republic creates the first concentration camps on European soil since Hitler’s regime in the 1930’s & 40’s targeting suspected LGBTQ citizens. 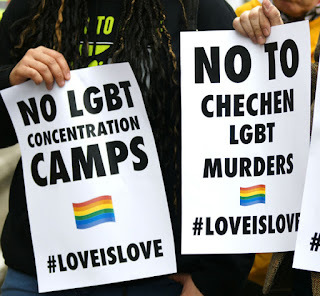 Ty Cobb HRC Global Director stated, “The Trump-Pence administration has once again shamefully chosen to not speak out against the barbaric, anti-LGBTQ attacks occurring in Chechyna. It’s unconscionable that the United States is not joining with these more than 30 nations in publicly condemning these Chechen anti-LGBTQ crimes against humanity & calling for those responsible to be held accountable. The absolute failure of human rights leadership from this White House is staggering.” Lesbian & trans women are also being commonly murdered in honor killings. In early 2017 the world started learning how Chechnya a region in the north Caucasus of Russia had started rounding up, detaining, torturing & executing men because of their real or perceived sexual identity but in 2018 Chechen authorities turned their sights onto lesbians & trans people. 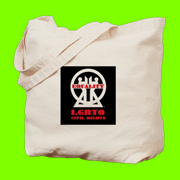 Igor Kochetkov, Russian LGBTI Network stated, “In two years, we were approached by 37 girls who position themselves as lesbians & two transgender women from the republics of the North Caucasus. Also in 2018, we began to receive reports of girls being detained by the police on suspicion of homosexuality. According to reports from Chechnya, there are girls among those detained in December to January.” Trump, Pence & Pompeo have refused to publicly condemn the anti-LGBTQ attacks even as Vladimir Putin licensed the violence to continue.